In the following video, arist Mark Cader answers questions from his subscribers including a discussion about the Zorn Palette. The Zorn palette is a limited palette of colors named after artist Anders Leonard Zorn (1860-1920), a very successful artist from Sweden. Zorn is widely recognized as using only 4 colors in his palette. Although the number of and exact colors he used are debated, they were believed to be: Yellow Ochre, Cadmium Red Medium, Ivory Black and White. Very interesting and educational as always. Mark has a great channel. 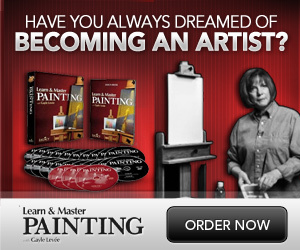 If you are an oil painter, I highly recommend you subscribe here.